In this blog post, we'll cover the complete process of exploiting the TrustZone vulnerability described in the previous post. If you haven't read it already, please do! First of all, I'd like to point out that I've responsibly disclosed this vulnerability to Qualcomm, and the issue has already been fixed (see "Timeline" below). I'd also like to take this opportunity to point out that Qualcomm did an amazing job in both responding to the disclosure amazingly fast and by being very keen to fix the issue as soon as possible. They've also gifted me a brand new (at the time) Moto X 2014, which will be the subject of many posts later on (going much more in depth into TrustZone's architecture and other security components on the device). While developing this exploit, I only had my trusty (personal) Nexus 5 device to work with. This means that all memory addresses and other specific information written below is taken from that device. With that out of the way, let's get right to it! If you read the previous post, you already know that the vulnerability allows the attacker to cause the TrustZone kernel to write a zero DWORD to any address in the TrustZone kernel's virtual address space. Zero write primitives are, drawing on personal experience, not very fun to work with. They are generally quite limited, and don't always lead to exploitable conditions. In order to create a robust exploit using such a primitive, the first course of action would be to attempt to leverage this weak primitive into a stronger one. Since the TrustZone kernel is loaded at a known physical address, this means that all of the addresses are already known in advance, and do not need to be discovered upon execution. However, the internal data structures and state of the TrustZone kernel are largely unknown and subject to change due to the many different processes interacting with the TrustZone kernel (from external interrupts, to "Secure World" applications, etc.). Moreover, the TrustZone code segments are mapped with read-only access permissions, and are verified during the secure boot process. This means that once TrustZone's code is loaded into memory, it theoretically cannot (and should not) be subject to any change. So that said - how can we leverage a zero write primitive to enable full code execution? We could try and edit any modifiable data (such as the heap, the stack or perhaps globals) within the TrustZone kernel, which might allow us to create a stepping stone for a better primitive. As we've mentioned in the previous blog post, normally, when an SCM command is called, any argument which is a pointer to memory, is validated by the TrustZone kernel. 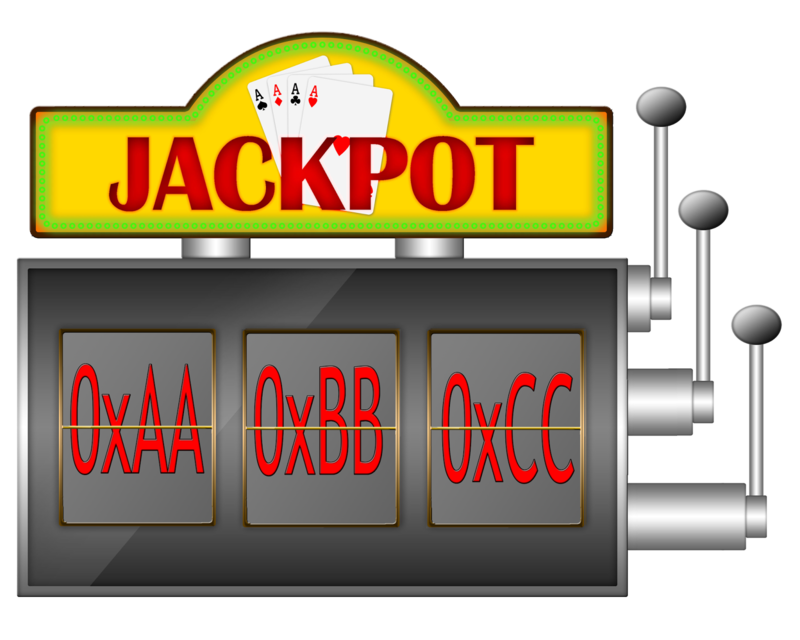 The validation is done in order to make sure the physical address is within an "allowed" range, and isn't for example, within the TrustZone kernel's used memory ranges. These validations sound like a prime candidate for us to look into, since if we were able to disable their operation, we'd be able to leverage other SCM calls in order to create different kinds of primitives. Let's start by giving the memory validation function a name - from now on, we'll call it "tzbsp_validate_memory". The function actually calls two internal functions to perform the validation, which we'll call "is_disallowed_range" and "is_allowed_range", respectively. The upper 7 bits are used as an index into a table, containing 128 values, each 32-bit wide. The lower 5 bits are used as the bit index to be checked within the 32-bit entry which is present at the previously indexed location. In other words, for each 1MB chunk that intersects the region of memory to be validated, there exists a bit in the aforementioned table which is used to denote whether or not this region of data is "disallowed" or not. If any chunk within the given region is disallowed, the function returns a value indicating as such. Otherwise, the function treats the given memory region as valid. The function iterates over each of the entries in the table which resides at the given memory address, stopping when the "end_marker" field for the current entry is 0xFFFFFFFF. Each range specified by such an entry, is validated against to make sure that the memory range is allowed. However, as evidenced in the decompilation above, entries in which the "flags" fields' second bit is set, are skipped! Now that we understand how the validation functions operate, let's see how we can use the zero write primitive in order to disable their operation. 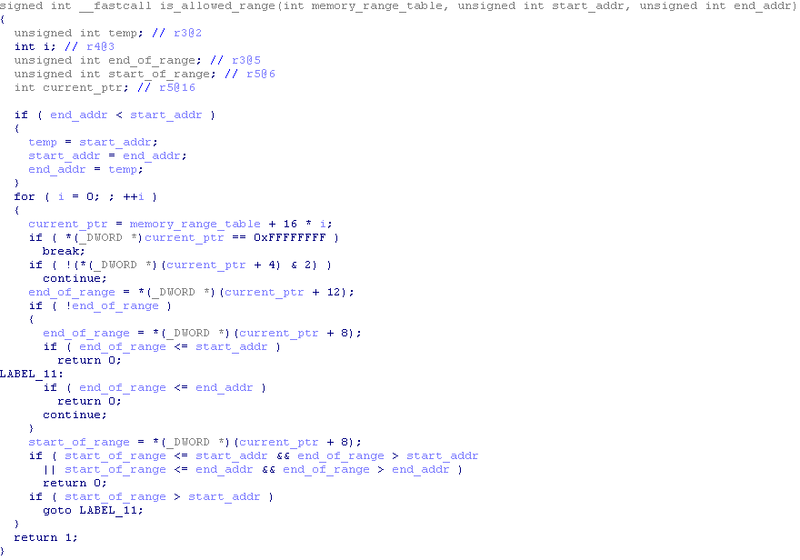 First, as described above, the "is_disallowed_range" function uses a table of 32-bit entries, where each bit corresponds to a 1MB block of memory. Bits which are set to one represent disallowed blocks, and zero bits represent allowed blocks. This means that we can easily neutralise this function by simply using the zero write primitive to set all the entries in the table to zero. In doing so, all blocks of memory will now be marked as allowed. Moving on to the next function; "is_allowed_range". This one is a little tricky - as mentioned above, blocks in which the second bit in the flags field is set, are validated against the given address. However, for each block in which this bit is not set, no validation is performed, and the block is skipped over. Since in the block table present in the device, only the first range is relevant to the memory ranges which reside within the TrustZone kernel's memory range, we only need to zero out this field. Doing so will cause it to be skipped over by the validation function, and, as a result, the validation function will accept memory addresses within the TrustZone kernel as valid. 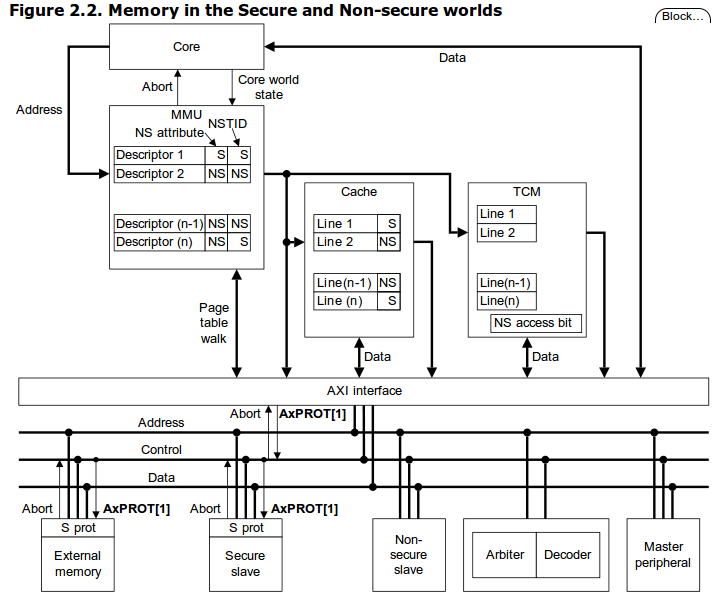 memory address as an argument for an SCM call, and it will be operated upon without any obstacle. But are we any closer to creating a write primitive? Ideally, had there been an SCM call where we could control a chunk of data which is written to a controlled location, that would have sufficed. Unfortunately, after going over all of the SCM calls, it appears that there are no candidates which match this description. Although none of the SCM calls seem to be good candidates in order to create a controlled piece of data, there is one call which can be used to create an uncontrolled piece of data at a controlled location - "tzbsp_prng_getdata_syscall". This function, as its name implies, can be used to generate a buffer of random bytes at a given location. It is generally used by Android is order to harness the hardware PRNG which is present in Snapdragon SoCs. In any case, the SCM call receives two arguments; the output address, and the output length (in bytes). On the one hand, this is great - if we (somewhat) trust the hardware RNG, we can be pretty sure that for each byte we generate using this call, the entire range of byte values is possible as an output. On the other hand, this means that we have no control whatsoever on what data is actually going to be generated. Even though any output is possible when using the PRNG, perhaps there is some way in which we could be able to verify that the generated data is actually the data that we wish to write. But what if you could cheat? For example, what if you had a different lever for each slot? That way you can only change the value of a single slot with each pull. This means that now for each time the lever is pulled, there's a chance of 1/256 that the outcome will match the desired value for that slot. Sounds like the game is much easier now, right? But how much easier? 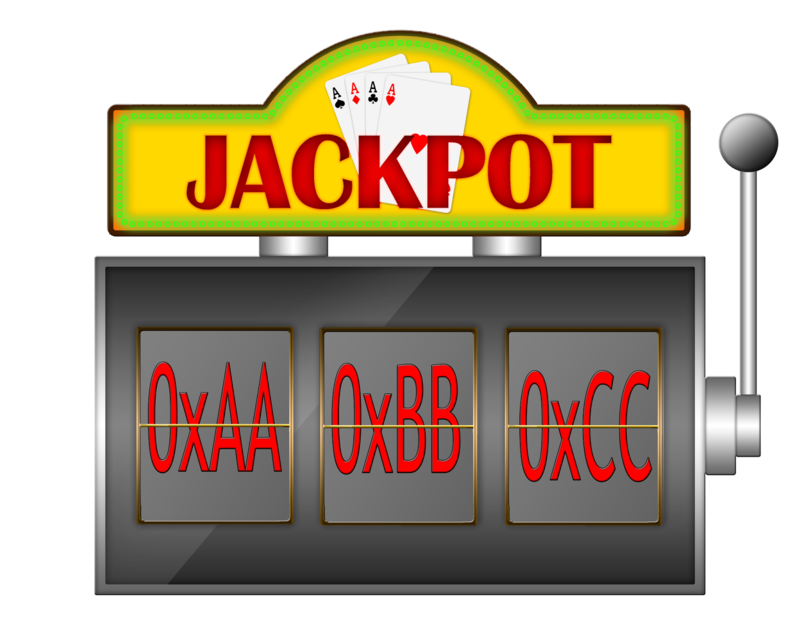 In probability theory this kind of distribution for a single "game" is called a Bernoulli Distribution, and is actually just a fancy way of saying that each experiment has a set probability of success, denoted p, and all other outcomes are marked all failures, and have a probability of 1-p of occurring. Assuming we would like a 90% chance of success, it turns out that the in original version of the game we would require approximately 10^8 attempts (! ), but if we cheat, instead, we would only require approximately 590 attempts per slot, which is several orders of magnitude less. First, we need to find an SCM call which returns a value from a writeable memory location within the TrustZone kernel's memory, to the caller. There are many such functions. One such candidate is the "tzbsp_fver_get_version" call. This function can be used by the "Normal World" in order to retrieve internal version numbers of different TrustZone components. It does so by receiving an integer denoting the component whose version should be retrieved, and an address to which the version code should be written. Then, the function simply goes over a static array of pairs containing the component ID, and the version code. When a component with the given ID is found, the version code is written to the output address. Now, using the "tzbsp_prng_getdata_syscall" function, we can start manipulating any version code's value, one byte at a time. 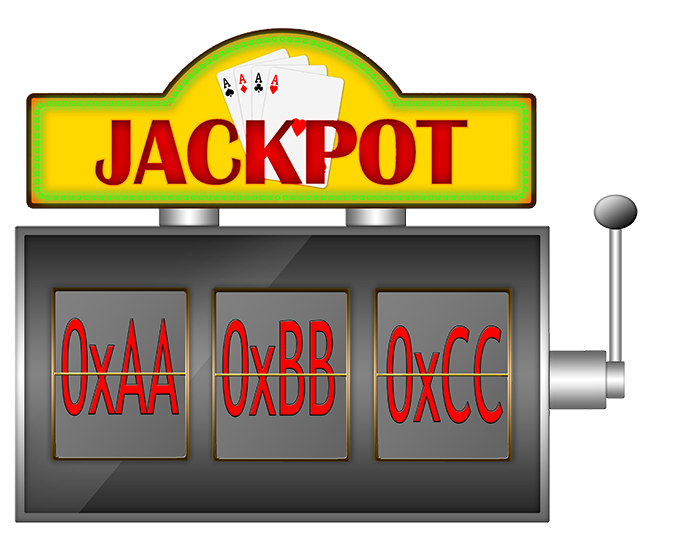 In order to know the value of the byte that we've generated at each iteration, we can simply call the aforementioned SCM, while passing in the component ID matching the component whose version code we are modifying, and supplying a return address which points to a readable (that is, not in TrustZone) memory location. We can repeat these first two steps until we are satisfied with the generated byte, before moving on to generate the next byte. This means that after a few iterations, we can be certain that the value of a specific version code matches our wanted DWORD. Finally, we would like to write the generated value to a controlled location. Luckily, this step is pretty straight-forward. All we need to do is simply call the "tzbsp_fver_get_version" SCM call, but now we can simply supply the target address as the return address argument. This will cause the function to write our generated DWORD to a controlled location, thus completing our write gadget. From here on, things get a little easier. First, although we have a write primitive, it is still quite cumbersome to use. Perhaps it would be a little easier if we were able to create a simpler gadget using the previous one. We can do this by creating our own SCM call, which is simply a write-what-where gadget. This may sound tricky, but it's actually pretty straight-forward. In the previous blog post, we mentioned that all SCM calls are called indirectly via a large array containing, among other things, pointers to each of the SCM calls (along with the number of arguments they are provided, their name, etc.). This piece of code will simply write the value in R0 to the address in R1, and return. Great. This gadget returns the value read from the address in R0, with the offset R1. Awesome. At this stage, we have full read-write access to the TrustZone kernel's memory. What we don't yet have, is the ability to execute arbitrary code within the TrustZone kernel. Of course, one might argue the we could find different gadgets within the kernel, and string those together to create any wanted effect. But this is quite tiring if done manually (we would need to find quite a few gadgets), and quite difficult to do automatically. There are a few possible way to tackle this problem. One possible angle of approach might be to write a piece of code in the "Normal World", and branch to it from the "Secure World". This sounds like an easy enough approach, but is actually much easier said than done. 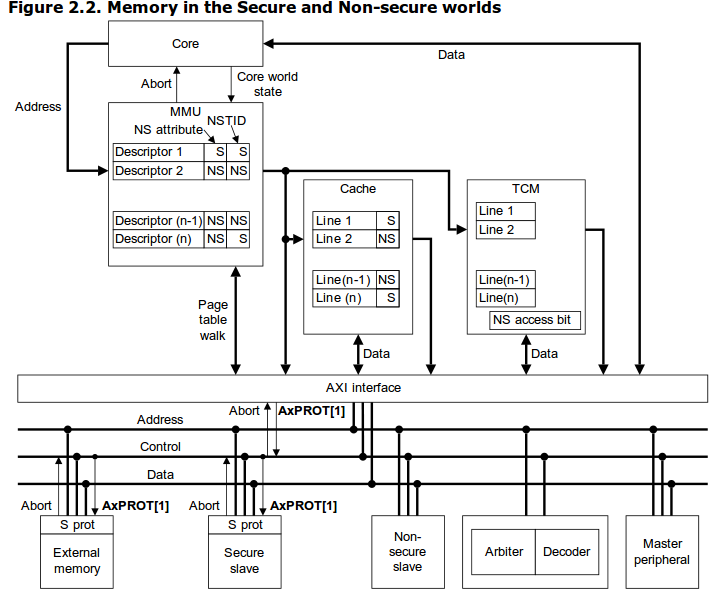 As mentioned in the first blog post, when the processor in operating in secure mode, meaning the NS (Non-Secure) bit in the SCR (Secure Configuration Register) is turned off, it can only execute pages which are marked as "secure" in the translation table used by the MMU (that is, the NS bit is off). This means that in order to execute our code chunk residing in the "Normal World" we would first have to modify the TrustZone kernel's translation table in order to map the address in which we've written our piece of code as secure. While all this is possible, it is a little tiresome. A different approach might be to write new code within the TrustZone kernel's code segments, or overwrite existing code. This also has the advantage of allowing us to modify existing behaviour in the kernel, which can also come in handy later on. However, upon first glance this doesn't sound easier to accomplish than the previous approach. After all, the TrustZone kernel's code segments are mapped as read-only, and are certainly not writeable. However, this is only a minor setback! This can actually be solved without modifying the translation table after all, by using a convenient feature of the ARM MMU called "domains". In the ARM translation table, each entry has a field which lists its permissions, as well as a field denoting the "domain" to which the translation belongs. There are 16 domains, and each translation belongs to a single one of them. This means that simply setting the DACR's value to 0xFFFFFFFF will actually cause the MMU to enable access to any mapped memory address, for both read and write access, without generating a fault (and more importantly, without having to modify the translation table). However, we can simply branch to the next opcode in the initialization function, while supplying our own value in R0, thus causing the DACR to be set to our controlled value. Now that the DACR is set, the path is all clear - we can simply write or overwrite code within the TrustZone kernel. In order to make things a little easier (and less disruptive), it's probably better to write code at a location which is unused by the TrustZone kernel. One such candidate is a "code cave". Code caves are simply areas (typically at the end allocated memory regions) which are unused (i.e., do not contain code), but are nonetheless mapped and valid. They are usually caused by the fact that memory mappings have a granularity, and therefore quite frequently there is internal fragmentation at the end of a mapped segment. Within the TrustZone kernel there are several such code caves, which enable us to write small pieces of code within them and execute them, with minimal hassle. I've written an exploit for this vulnerability, including all the needed symbols for the Nexus 5 (with the fingerprint stated beforehand). First of all, in order to enable the exploit to send the needed crafted SCM calls to the TrustZone kernel, I've created a patched version of the msm-hammerhead kernel which adds such functionality and exposes it to user-space Android. I've chosen to do this by adding some new IOCTLs to an existing driver, QSEECOM (mentioned in the first blog post), which is a Qualcomm driver used to interface with the TrustZone kernel. These IOCTLs enable the caller to send a "raw" SCM call (either regular, or atomic) to the TrustZone kernel, containing any arbitrary data. You can find the needed kernel modifications here. For those of you using a Nexus 5 device, I personally recommend following Marcin Jabrzyk's great tutorial - here (it's a full tutorial describing how to compile and boot a custom kernel without flashing it to the device). After booting the device with a modified kernel, you'll need a user-space application which can use the newly added IOCTLs in order to send SCMs to the kernel. I've written such an application which you can get it here. 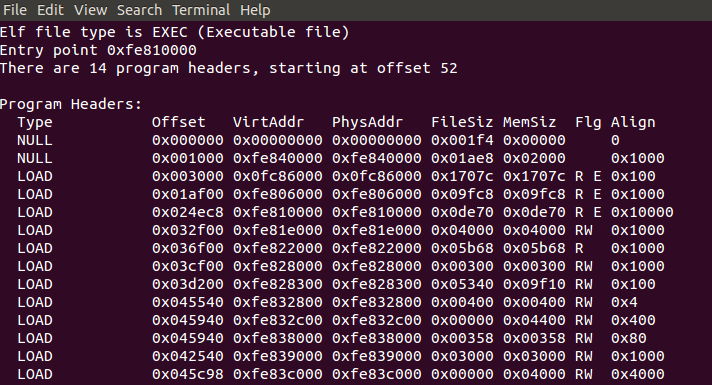 Finally, the exploit itself is written in python. It uses the user-space application to send SCM calls via the custom kernel directly to the TrustZone kernel, and allows execution of any arbitrary code within the kernel. You can find the full exploit's code here. Note: This vulnerability has since been fixed by Qualcomm, and therefore should not affect updated devices currently. Also, please note that the following is not an exhaustive list, by any measure. It's simply the result of my static analysis at the time. I'd like to also point out that after reporting this issue to Qualcomm, I was informed that it has already been internally identified by them prior to my disclosure. However, these kinds of issues require quite a long period of time in order to push a fix, and therefore at the time of my research, the fix had not yet been deployed (at least, not to the best of my knowledge). I'd really like to hear some feedback from you, so please leave a comment below! Feel free to ask about anything. Great post, sightly hard to understand as i'm spanish but it denotes a deep knowledge of exploting. Contrats and keep on it! Thanks! Happy you enjoyed the post. The stagefright exploits (I've found quite a few) are coming soon, but the next post will be about a linux kernel exploit. 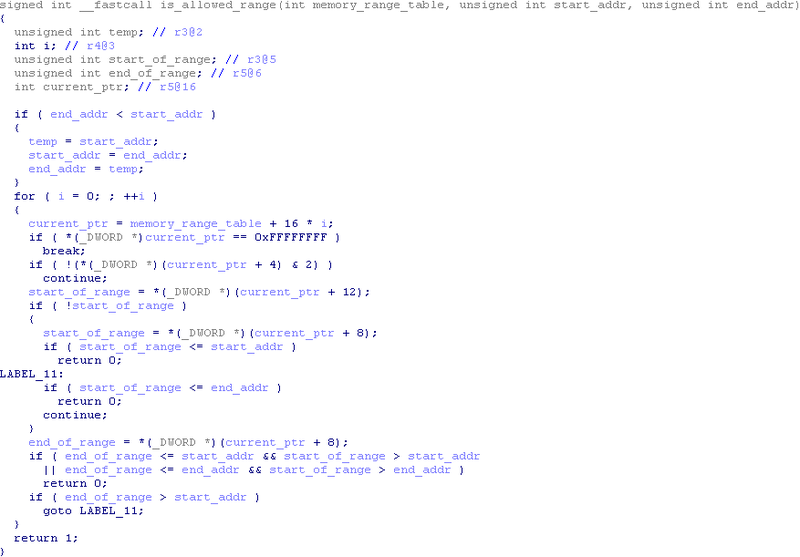 So by reading this (http://blog.azimuthsecurity.com/2013/04/unlocking-motorola-bootloader.html) and this post, to my understanding, if I just want to unlock the bootloader I can do that without going in to so much hassle by simply overwriting the "golbal_flag" value by your zero write primitive right? By the way can you publish anything you learned about qfuse structure on msm8974, and the script you wrote to check the bootloader for the exploit? Looking at the post you linked to, it refers to the MSM8960 architecture. That version of Snapdragon had a massive documentation leak, that lead to a pretty wide understanding of the QFuses structure. Unfortunately, there's been no such leak for MSM8974, so while some comparisons might be drawn between them, there's no guarantee that other things haven't changed. Since I only have my personal device, I'm not willing to blow QFuses until I'm 100% about their purpose. I have done some research into unlocking the Moto X 2014 (which is an MSM8974 device), which I will definitely write about soon, but it's still incomplete. Anyway, glad you enjoyed the post! Best of luck with the Fire phone :) Hope the next TrustZone posts help. Great.. Keep up the good work. By the way in the post I linked, he detects the QFuse by analysing aboot image. Not sure the same applies here though. This was an interesting read for sure. You mentioned that the S4 was vulnerable but when examining the tz image for the s4, the address don't match. I was wondering if you had figured out the addresses for the s4 as well. I gained a fair bit of knowledge reading the posts before and the post following this post as well. I thourougly enjoyed this article. i wish the apq8084 (droid turbo)were researched and exploited in this manner. Thank you for your wor and especially for posting so others can learn from it. AWESOME!!! sounds like Christmas will be good this year. Why is responsible disclosure necessary here? From what I can tell, this exploit only enables the owner of a device to get full access to the device, which is their right anyway. Why would you tell the manufacturer? tz_service <0x3F802, aTzbsp_oem_svc, 0xF, 0x86500ECB, 1> ; "tzbsp_oem_svc"
Interesting! MSM8916 is the SoC in the very cheap Moto E 2nd gen., right? The explaination path of your binary quest is very clear, and it's much appreciated. In the end, I wonder why the DACR designs such a "fault disabling" feature? That feature looks like an obvious present made to attackers in order to abuse a runtime. Say that 1 of the DACR registers is entitled to a r/w access permission from a specific origin/caller/translation only: such a definition is a policy rule. If rule matches, instruction runs flawlessly. If it does not, instruction triggers a fault. I don't get why this extra power is given to dodge, to overlook a well-deserved system fault. From a systems-design perspective, I can think of quite a few situations where enabling memory domains would be a useful feature. Consider, for example, scenarios where different contexts share the same translation tables. One common use-case where this would occur is a user-mode and kernel-mode context for the same task (e.g., on Linux). While the memory mappings for both contexts are the same, we may want to restrict access from the kernel-mode context, in order to prevent accidental cases in which the kernel may be tricked into accessing user-mode mappings inadvertently (such an SMAP). Alternately, you may want to restrict access to kernel mappings within the user's memory ranges, so that user-mode contexts cannot access it. That aside, the feature itself should not be a security concern in it's own right. Recall that configuring the DACR requires code execution in an elevated context to begin with. At that privilege level, you could just as well directly modify the translation tables or the translation table control registers - achieving the same effect. Although, most of organizations use filtered routing devices, firewalls and intrusions identification systems to protect their interests and money. But when we are speaking about web vulnerabilities, many of these safety tips may be useless.There are not so much of them but they can open a particular part of the Net available from the Internet. It may be very hard when a hacker owns a simple Web browser.